Gorkha integrated model settlement incomplete after three years of construction - Integration Through Media ....! 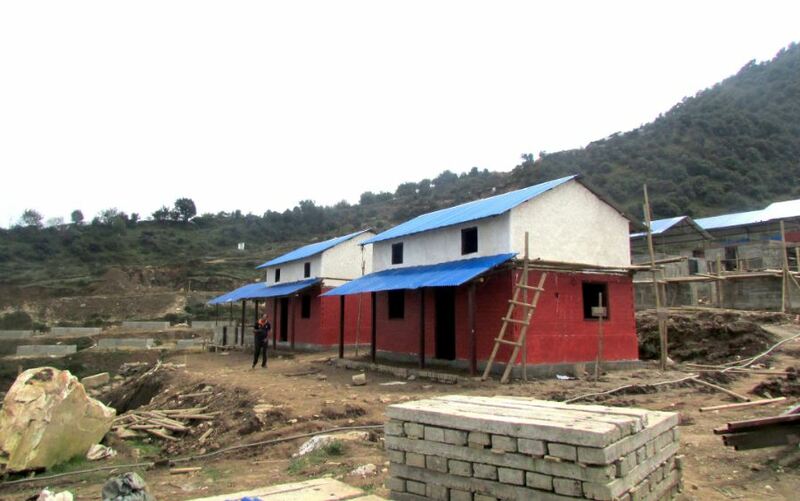 GORKHA: Construction of an integrated model settlement for survivors of the earthquake of April, 2015 at Laprak of Dharche Rural Municipality-4, one of the worst affected villages, is yet to complete after three years of construction. Started by the Non-Resident Nepali Association in 2073 B.S. with a one-year completion target, only 75 per cent of construction has been completed so far, said the project manager Laxman Aryal. There is delay as the beneficiaries fail to provide set amount of timber for the construction (53 cubic timber each family), he said. The beneficiaries are bound to provide timber and construction materials like sand and pebbles for the construction. The locals entitled to the scheme have their own story to tell. Most of male members are away from home in search of job opportunities, leaving female members all to themselves to run houses. Women and children are however finding it difficult to collect and transport timbers required for the construction. The project will target completion in the next three months, said Aryal.